Performing under the name of White Ash Falls, Vancouver’s Andy Bishop delivers a veritable slice of Americana-country soaked songs with his sophomore release Over The Night. With this record, due out November 5 via Light Organ Records, Bishop joins the ranks of Canadian songwriting torchbearers, sounding like a perfect meeting point between Neil Young, the psychedelic-influence of The Sadies and the more time-honoured sound of Daniel Romano. This isn’t to say that Over The Night lacks originality. Despite wearing his influences a little more proudly on some songs than others, Bishop isn’t afraid to stake his territory throughout his new record. 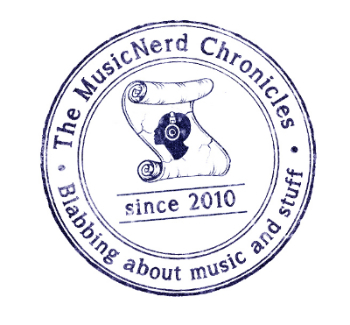 An amiable Bishop spoke with The MusicNerd Chronicles earlier this week about his upcoming tour of Atlantic Canada. Along with The Fugitives, White Ash Falls performs their only New Brunswick show at Moncton’s Plan B Lounge on Sunday November 3. Will this be your first time performing in New Brunswick? Give us the good, bad and ugly about what you’ve heard about the Maritimes. Everyone we have met have told us that people just get nicer and nicer the further East you go and that the vibe gets better and better. We are really looking forward to finally being on the East Coast. Tell me a bit about the making of your new record Over The Night. I actually started making the album soon after my first record had been released. I had a bunch of songs written and so I began recording, figuring that I would have a nice little EP at the end of it. My band mates and producer ended up talking me into making a full-length record instead. Had you gone into the studio intending to make a full-length album, you might not have come up with as strong of an album at the end of it. Sometimes it is best not to overthink things and just go with what feels right. Definitely! It is those surprises that make this worth doing. Do you worry at all about your music getting lost in the primarily singles-driven market of the current day? On one hand it is nice to have the ability to release new singles as fast as you can churn them out but I don’t feel as though that is the right vibe for me. I am a pretty big fan of the album format; I think it is something that is lost on too many people these days.